Games keep us entertained and provide the much-needed relief from the chaos of life. Most of us love to play our favorite games whenever we get free time or even while traveling. It is in fact, the first thing that comes to our mind when we have some spare time. However, most of the games are online. But, sometimes, we are at places where we can neither access internet nor the Wi-Fi so we cannot play games in such locations. However, you don’t need to worry at all as there are many games that do not require Wi-Fi access. We have curated a list of some of the best offline games that you can play in any remote area. 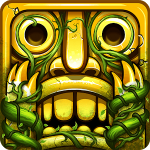 One of the most popular games among the people of all age groups is Temple Run 2. Your goal as a player in the game will be to run with a precious idol that you’ve stolen from the temple. Throughout the run, you’ll have to face several obstacles including fire, tree roots, water, narrow path and gaps between the surfaces. What makes the game interesting is ‘evil monkey’ that fly over your head and is waiting for you to make mistakes so that he can catch you. This is another popular game that caters to the interests of both adults and kids. 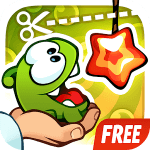 The goal of the game is that you need to cut all the fruits that come flying on the screen. However, you need to avoid cutting the bombs as that would end your game. There are different modes of playing the games. You can play this game alone, with a friend or even against them as it is even a multiplayer game. Are you an action lover? If yes, then you’ll surely love this offline fighting game. This game is about a ‘shadow’ who lost his body while trying to save his house from the invaders. 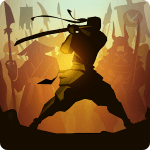 You have to play this game as that ‘shadow’ who has warrior skills and fights the demons just to get back the physical body. The game comes with plenty of stages with different yet powerful demons. This is a racing game that can keep all the racing lovers hooked for several hours. It is a game where you need to drive your vehicle as far as you can across different terrains by controlling your speed, performing stunts, collecting coins and filling petrol so that you do not run out of fuel. Performing stunts and driving in the air gives you some bonus points. Basically, the goal of the game is to achieve high scores. 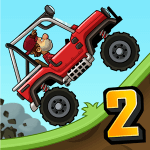 In this game, you can upgrade your vehicle and even buy several other vehicles by using your accumulated coins. Are you a fan of the angry birds movie series? Then you’re surely going to enjoy playing this game too. 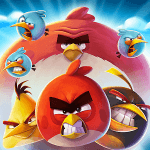 In this game, you need to launch angry birds at pigs with the help of a slingshot. The goal of the game is that you need to destroy all the pigs that are fixed on various structures. 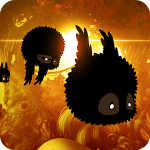 The game has several levels and with every new level, you’ll be able to play with different birds that contains some special powers. 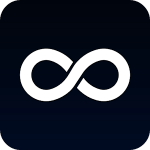 This is yet another infinite running game that can be played offline. The game comes with several characters that you can choose to run. The game has HD graphics that enhance the gaming experience. As a player, you’ll have to run across railway tracks as far as you can by avoiding collision with obstacles, else you’ll be caught by the guards. The game comes with several missions and power-ups that make it more fascinating. It is one of the best racing games that come with amazing features, gameplay, and 3D graphics. 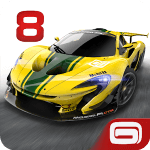 The game has more than 40 challenging tracks and more than 150 cars belonging to top brands including Ferrari, Lamborghini, McLaren, Chevrolet, Audi and many more. There are several events, challenges, and game modes. You can race against a single opponent or several opponents. You may also like our list of best free music downloader apps for Android. It is an amazing puzzle game that can be played offline. The plot of the game is that a scientist wants to experiment with a little monster so he makes such experiments where he needs to be fed with sweets. The goal of the game is that you need the cut the ropes in such a way that the character, Om Nom can eat the candies that lie far away from him. You can get to the next levels by collecting stars that you come across in each level. Despicable Me is a super-hit movie that got converted into a game for all its crazy fans. If you are one of those, then you ought to try this game. 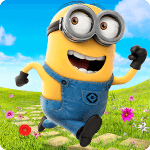 It is a runner game where you need to make the minions run, dodge, jump, roll or scramble while collecting the bananas. There are several amazing locations in the game that are taken by the real movie. You can upgrade the costumes and weapons of the minions and take power-ups that make the game even more exciting. It is a never-ending arcade game that takes you on a journey across the world. The interesting part about the game is that it has no characters. You just see the screen and the camera moving frontward. 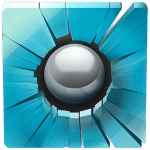 The goal of the game is that you need to throw balls accurately in order to destroy the glass obstacles that fall on your path. 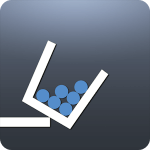 However, the number of balls that you get in each level has a limit and the game ends when your balls are finished. That is why you need to hit accurately so that not even a single ball is wasted. 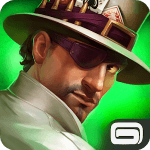 This is one of the most popular PC games that soon became available for the Android platform. 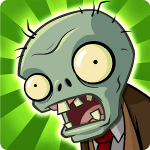 It is an arcade game where the plants have to save your home from being destroyed by the zombies. For this, the plants are required to repel the attack of the zombies who act as invaders. These plants have many powers and they can launch different missiles. The game has several entertaining levels. 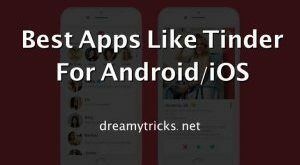 You may also like movie download sites for mobile. This action-packed adventure game is created by Gameloft. It is a shooting game whereby you get a true essence of the wild west. It is based on the action scenes of Arizona which is known to have several cowboys, vampires and bandits. The goal of the game is that you have to complete different shooting missions ( about 40 levels). You need to racehorses, finish all your enemies and unlock different levels and weapons. It is an interesting runner game that takes you to beautiful game locations. The game has stunning graphics that makes it even more grabbing. The character lives in the forest and sets on a quest to find out what’s wrong with the forest. During his journey, the character has to face several obstacles and traps. This game can even be played in the multiplayer mode where you can either team up with your friends or play against them. This is a game that challenges your thinking skills and intelligence. The gameplay involves connecting various loops or curved shapes to create a block. The game has different modes. In the dark mode, the players have to break a shape into different curved shapes. The game has several levels that become complicated and challenging as you advance forward. This is one of those games that exercise your creativity. 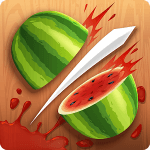 It is developed by Majong and is one of the most popular PC game that was launched for Android. In the gameplay, you have to use cubes to develop your own virtual world. You can construct almost anything using the cubes be it bridges, or buildings. 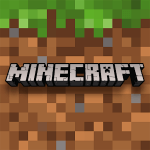 You can also use materials like dust, brick, sand, and dirt to create objects. There are several modes in this game. It is a 2D game that tests your mental ability. It is a challenging game where you are required to use your creativity and skills. 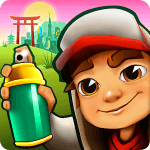 The gameplay involves performing various tasks whereby you need to build different structures using your finger. 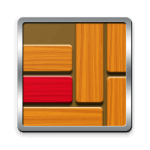 It is a puzzle game where you have to clear the path and adjust the other blocks in such a way that a red block can be taken out of the grid. You can choose the level of difficulty before starting the game. The game has a simple interface and several interesting levels. It is yet another puzzle game that tests your mental ability. The game consists of different tiles that are numbered. You can only merge two tiles having the same number. After every merger, the number printed on the tiles is doubled. The aim of the game is to reach a tile with number 2048. 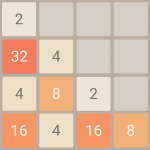 Thus, the player needs to apply strategy and tactics to create a tile numbered 2048. Are you fond of driving games? If yes, then this one is for you. It is a first-person never-ending driving game where you have a motorcycle that you need to drive in a road full of traffic. The game has several modes, several tracks, and amazing graphics. You can choose from more than 20 motorcycles and you can even select the time of the game, whether you’re driving in day, afternoon or at night. This game is recommended for those who are socially active as the game gives you a chance to build your village and socialize. 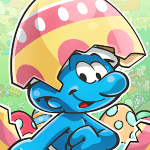 You need to play with the smurfs so that you can get better facilities or benefits for your village. The game has impressive graphics and amazing characters that make it appealing. Do you love doing or seeing people do stunts? Well, you can even do some stunts that too without any risk by playing Fail Hard. 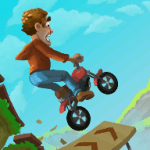 It is physics game where you can perform several stunts with your motorcycle. The game has great graphics and come with several physics-bending challenges. The game has multiple levels with different obstacles to keep you hooked. Do you love playing hidden objects game on your PC? Now, you can even play such game on your smartphone. 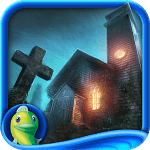 Enigmatis is a puzzle and hidden object game that is optimized for the phone. Basically, you’ll have to act as a detective and follow different stories and then find 30 objects in every level to solve the mystery. It also has some mini-games in between. 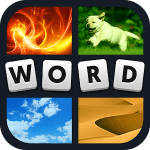 Those who love playing with words will love this game too. The game consists of a frying pan that contains different letters. 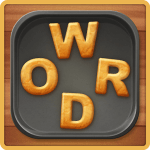 Your task will be to join the letters in different directions in order to form meaningful words. Each level comes with different challenges that get harder with advancing levels. This is a never-ending 3D running game where you have to make the granny run so that she can escape from the angry asylum. 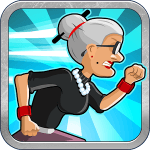 Granny runs on the streets and you’ve to make sure that she avoids the obstacles and collects coins. The games come with power-ups and upgrade features that make it even more grabbing. This is a word game that tests your intelligence. Here, you’re given four pictures and one word is common is all the pictures. You simply have to guess the right word. In this way, you have to keep on guessing the words in each level. 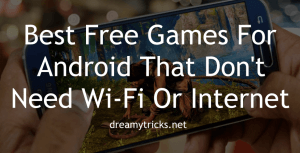 So it was all about best offline games for Android that don’t need Wi-Fi. 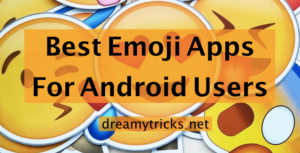 Keep visiting our blog Dreamy Tricks to get latest Android updates. So do you have any other game which is really awesome but not included in this list? Please let us know about it in the comment section below.